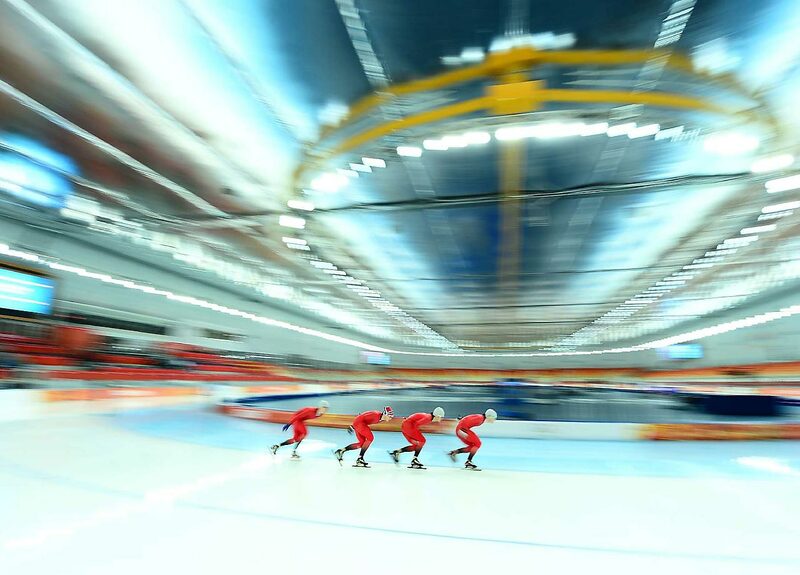 View of the Woman's Team Pursuit Semifinals where the Netherlands won the gold in the final, Poland won the Silver and Russia won the Bronze. 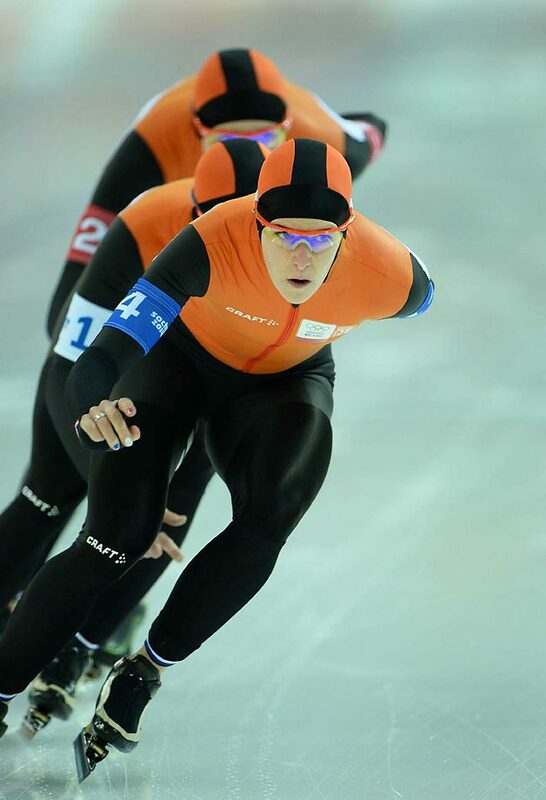 Hege Bokko (front), Ida Njaatun and Camilla H Farestveit of Norway compete during the Team Pursuit Final D.
Irene Wust (4), Jorien Ter Mors (1) and Marrit Leenstra of the Netherlands compete in the women’s speed skating team pursuit semi-finals. They won the gold. 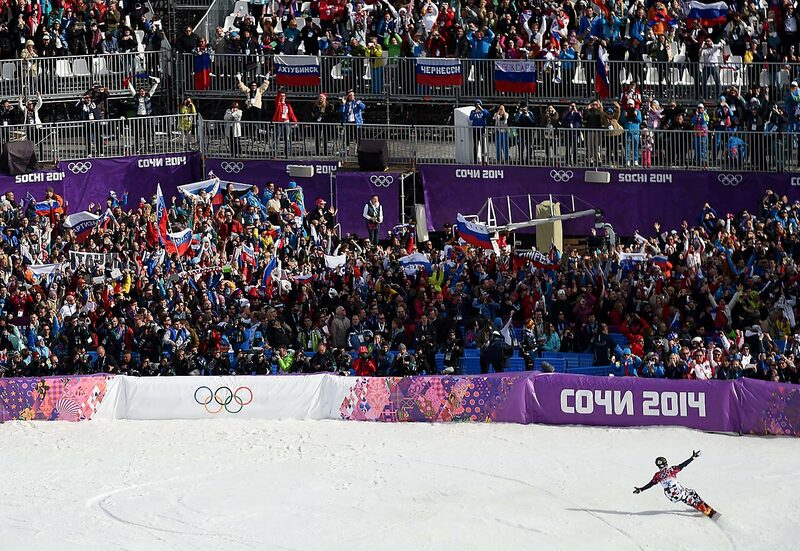 Vic Wild of Russia celebrates winning the gold in Parallel Slalom. 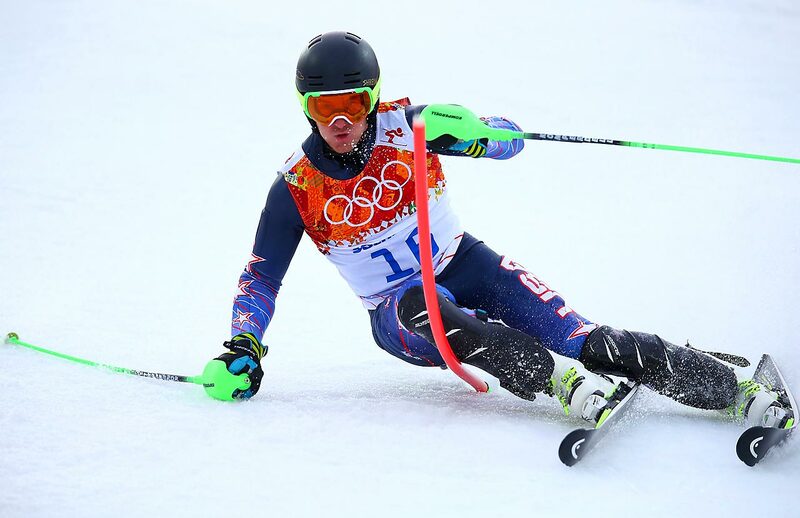 Ted Ligety carves through a turn in his first Slalom run of the day. 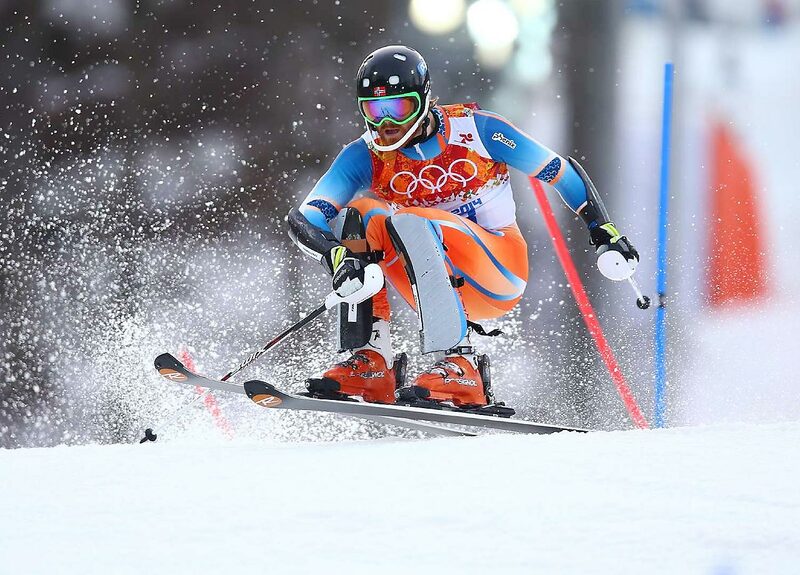 He was sixth after the opening run, but skied off the course in his second run and didn't finish. 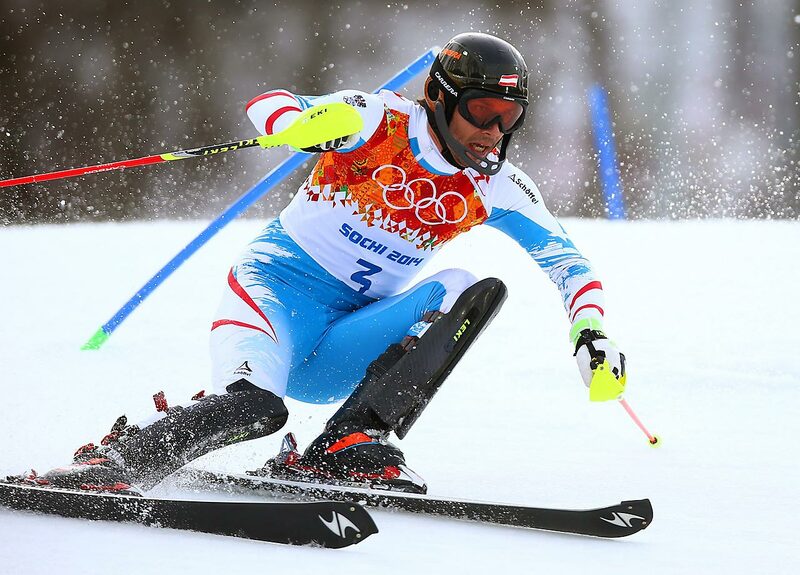 Mario Matt of Austria had the best time here in his first run at the Slalom, and ended up winning the gold. Leif Kristian Haugen of Norway catching air here, came in 23rd in the Slalom. View of the start of 30 km Mass Start Free. Marit Bjoergen (left) of Norway won gold, and Therese Juhaug (right) also of Norway won silver. The Finnish Flash finished off his sixth Olympics with a sweet victory. 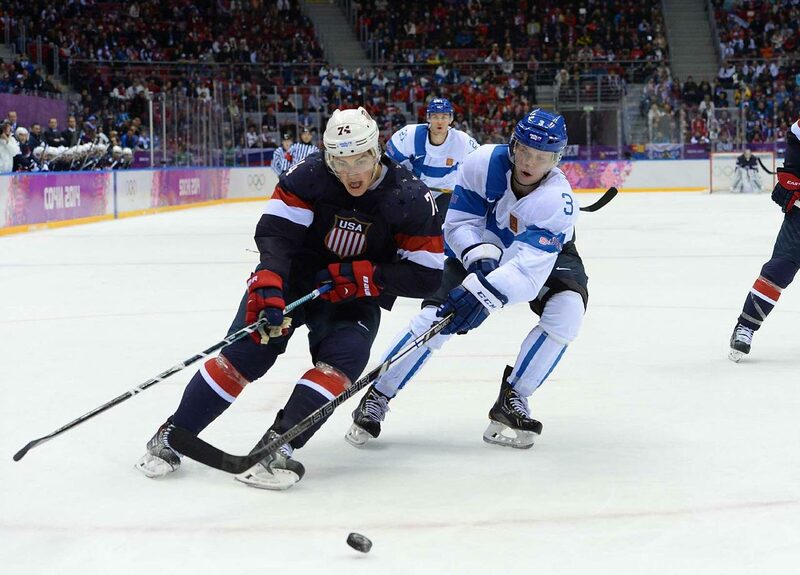 Selanne scored two goals and Tuukka Rask had a 27-save shutout, helping Finland rout the United States 5-0 Saturday to win hockey bronze at the Sochi Games. Selanne and Jussi Jokinen scored 11 seconds apart early in pivotal second period. The Finns had three goals in the third against a team that looked like it would rather be at home. 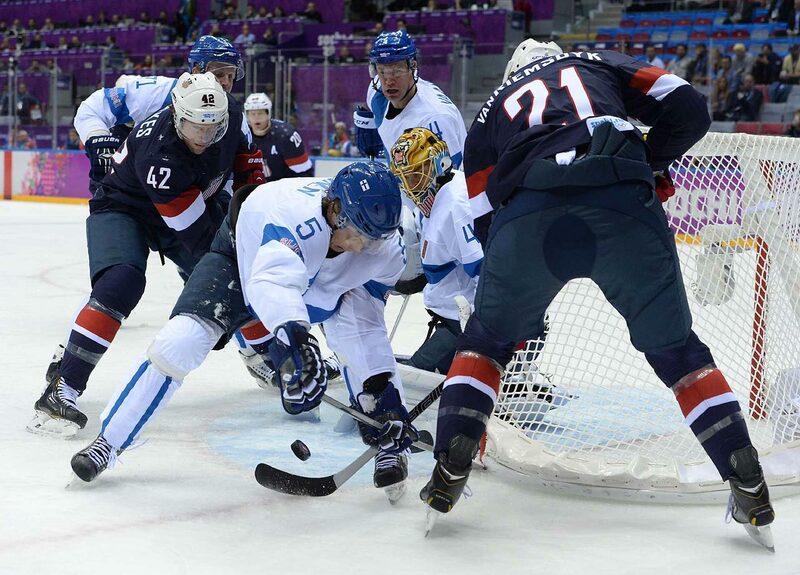 Patrick Kane of the U.S. failed to score on two penalty-shot attempts against Finland goaltender Tuukka Rask, who made 26 saves to preserve a shutout. 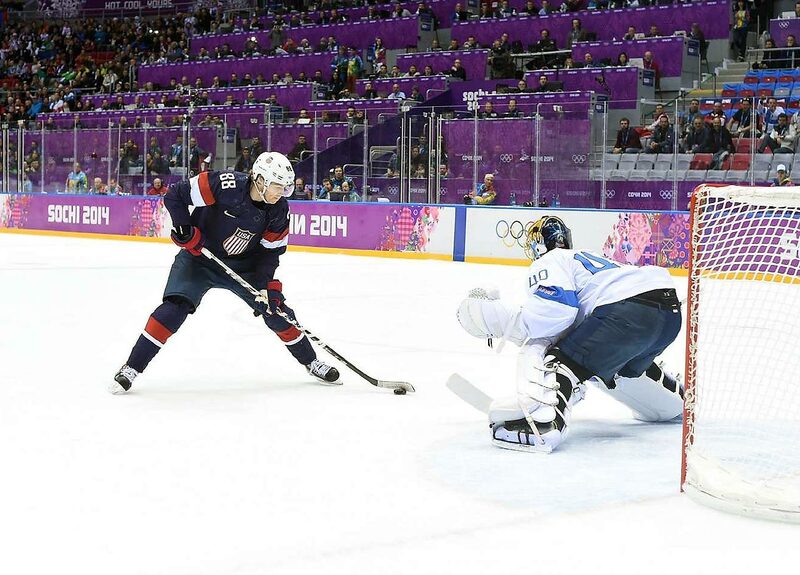 T.J. Oshie and Olli Maatta battle for the puck. Tuukka Rask and Kimmo Timonen (44) of Finland celebrate their 5-0 victory for the bronze. 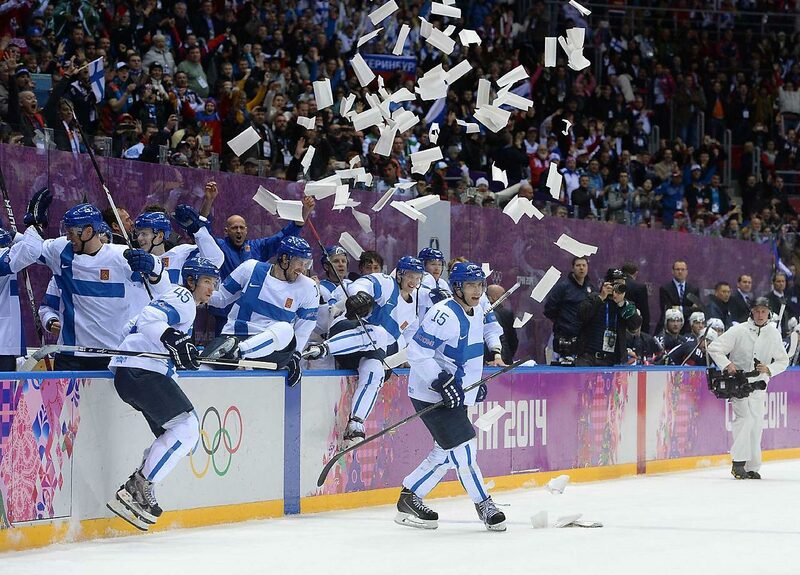 Finland has won four medals in the last five Olympics, more than any other nation in the NHL era. Therese Johaug and Marit Bjoergen of Norway hug after the 30 km Mass Start Free. 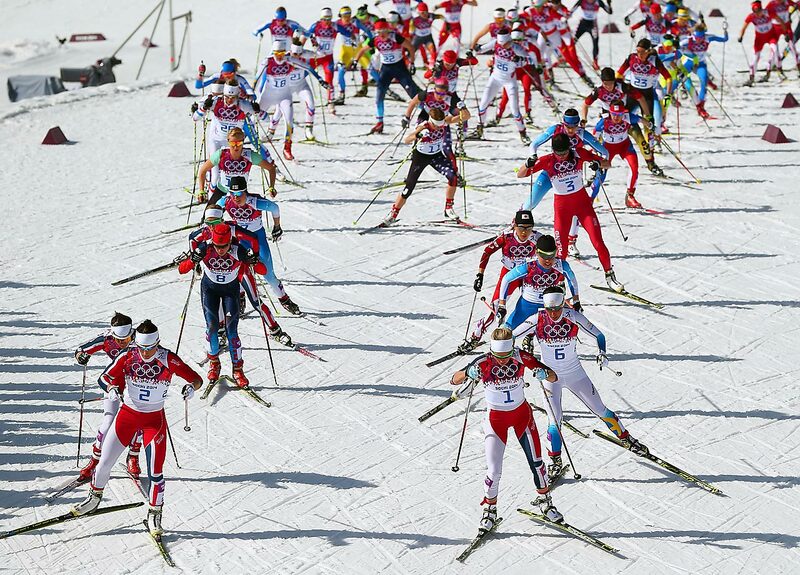 It was a good showing for Norway, Bjoergen won the gold and Johaug won the silver. 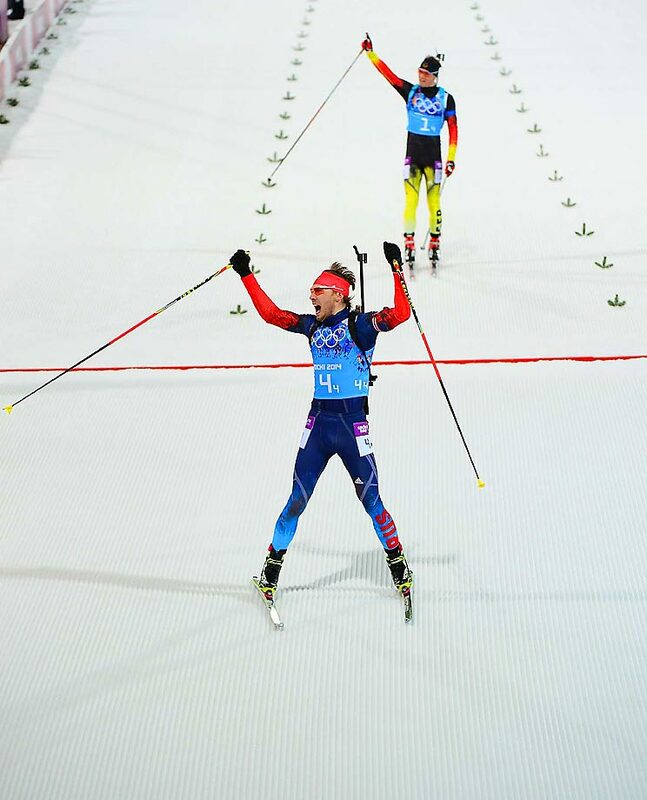 Anton Shipulin of Russia celebrates as he crosses the finish line at the Biathlon to win the gold medal in the 4x7.5 km relay. Steve Holcomb (front) starts the U.S. off in heat 2 of the four-man bobsleigh which is to be completed on Sunday. 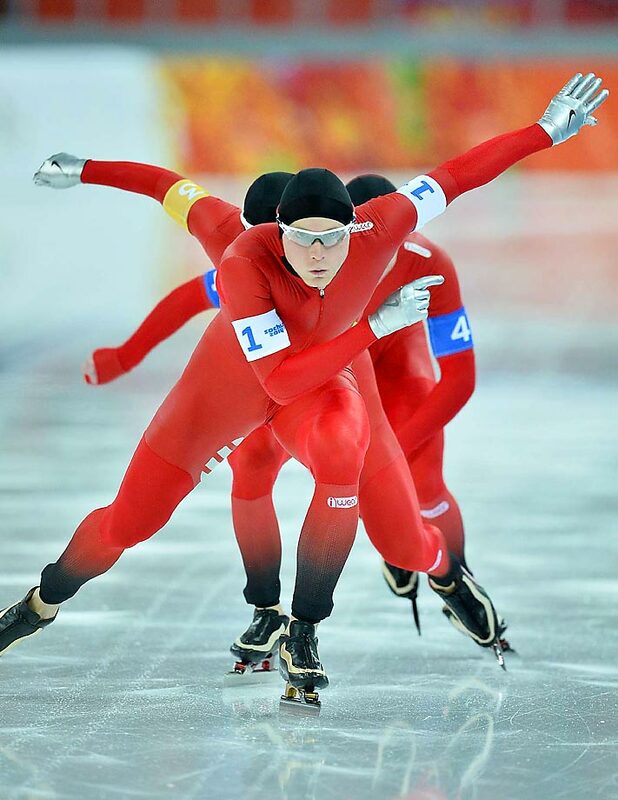 So there's some drama left to be settled on the bobsled track before closing ceremonies. 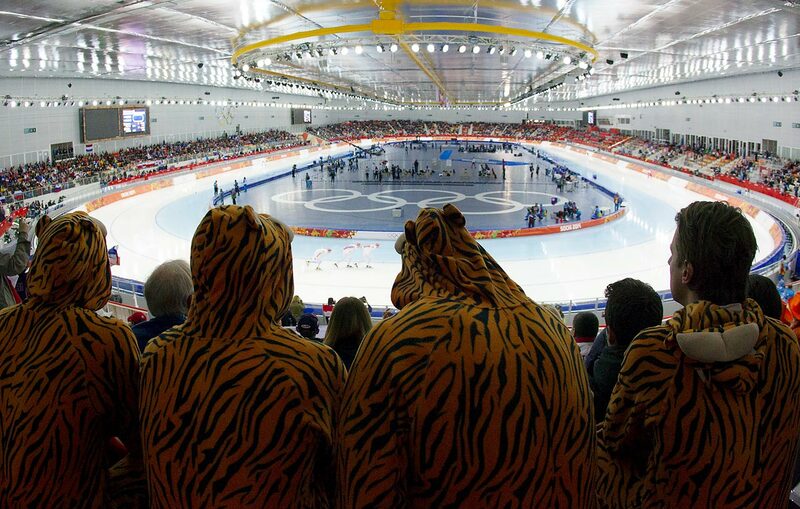 Fans in costume watching the Men's Team Pursuit Final. 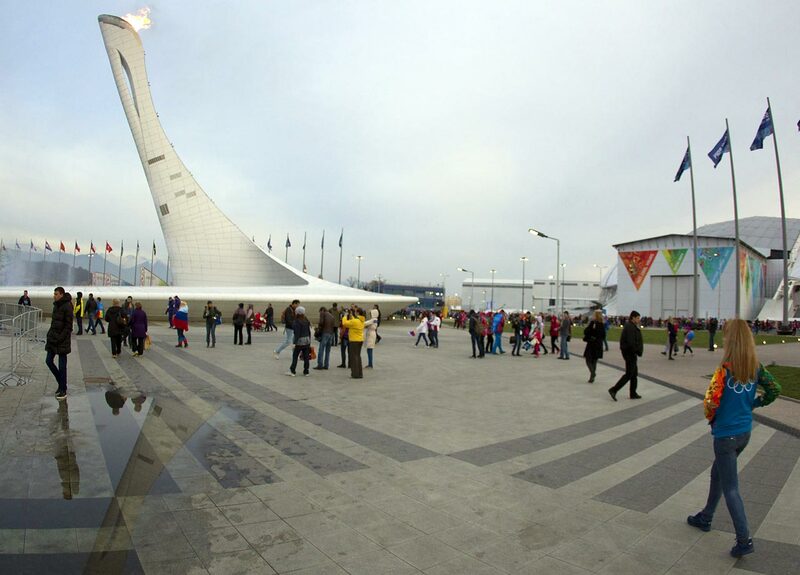 View of the Olympic Park and flame as the Olympics wind down.